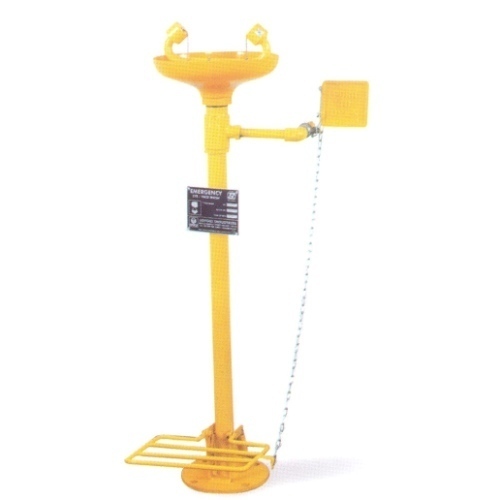 We are manufacturer & supplier of Industrial Safety Equipment based in New Delhi, India. We specialise in the field of Industrial Safety equipments and re-known for Industrial Safety Helmets, Industrial Safety Shoes etc.. Capitalizing our vast resources, we are involved in exporting and supplying of a wide range of Industrial Safety Shoes, Industrial Safety Helmets, and other Industrial Safety Equipments. Apart from that, we also deal in a variety of personal protection equipment for head, eye & ear, emergency eyewash, harness fall and foot. Our products are procured from highly reliable and established vendors and are used in areas like Cold Rolled Steel Plants, Stainless Steel Plants, Heavy Engineering, Automobile, Chemical, Electrical, Pharmaceuticals, Food Packaging and Large Construction Sites. We engaged in offering various types of Industrial Safety Equipments like Industrial Safety Shoes, Industrial Safety Helmets, Fall Protection Equipments, Safety Goggles etc.